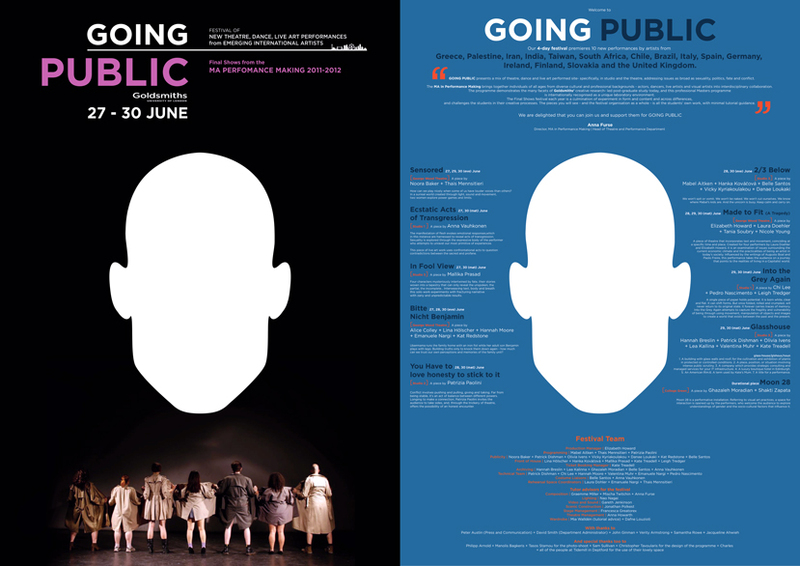 Programme design for Goldsmiths' MA in Performance Making Festival in 2012. The concept was based on the main idea, the title of the festival suggests. 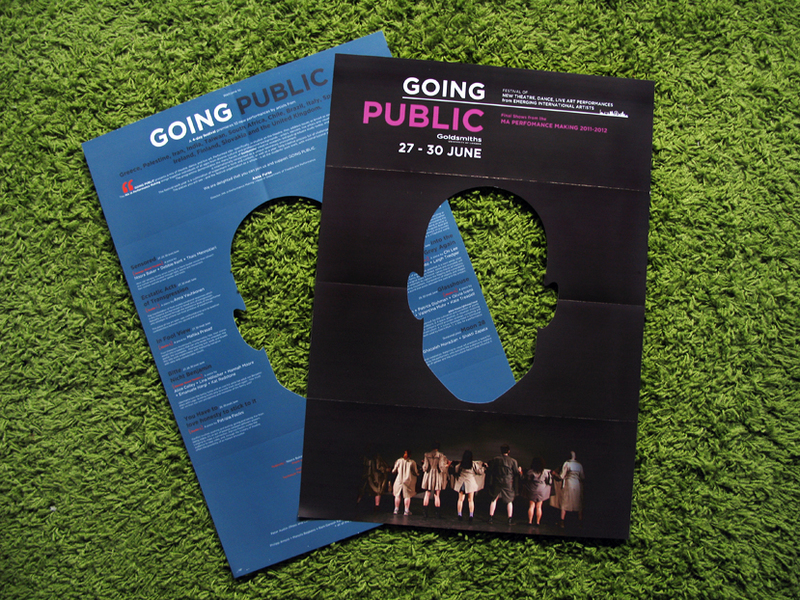 One's responce to the information on the programme automatically becomes public, through a cut out shape.